Publication: Narr. Journey Polar Sea (ed. 2). 734. 1823. 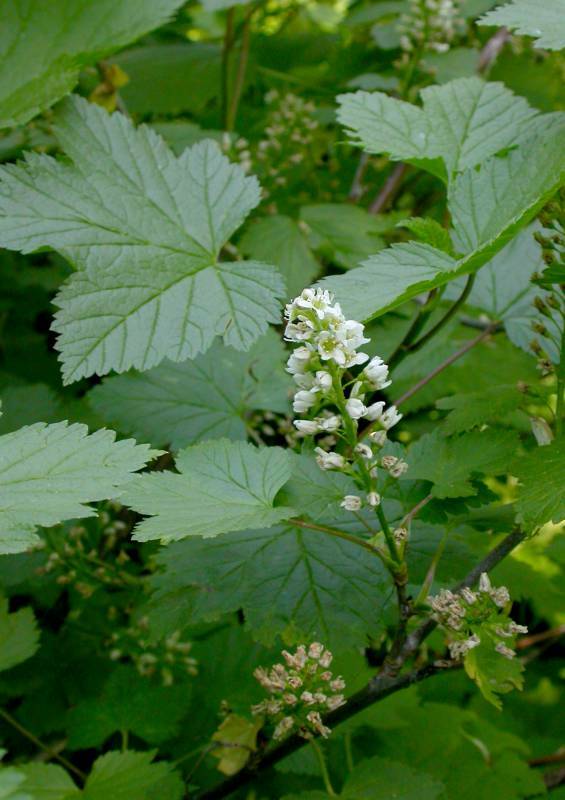 Notes: FNA8: "Plants of Ribes hudsonianum with leaf blades that are pubescent abaxially and mostly lack sessile glands, and have ovaries with sessile glands, have been recognized as var. hudsonianum; those with leaf blades that are shaggy-hairy abaxially and sessile-glandular, and have ovaries lacking such glands, have been named var. petiolare. Variety hudsonianum has a more northern distribution; var. petiolare is western. Where their ranges overlap, for instance in Saskatoon, pubescence density varies continuously and does not correlate with presence or absence of glands (V. L. Harms, pers. comm.). Ribes hudsonianum is a major host of blister rust; in early literature it is referred to as R. petiolare (E. P. Van Arsdel and B. W. Geils 2004). It has a strong, sweetish, unpleasant odor, and bears its leaves on long shoots."